President Bill Gile sings My Country, Tis of Thee with enthusiasm. President Bill reported that our annual installation night will be held on Tuesday at 6pm, October 9th at the Shang Hai Chinese Restaurant, located on South Main Street in Laconia. This is the same location that the Kiwanis Club had its weekly meetings in the 1990’s. Many may remember, the Shang Hai restaurant was previously known as Weeks Family Restaurant and then Favorites Restaurant. We will meet in the private function room of the restaurant, which will give the Club privacy. The dinner will be buffet style and the price for the dinner will be $16.00 (per person), which includes the buffet, beverages, tax and tip. Alcoholic beverages are available for additional cost. Past Laconia Kiwanis Club member and past Kiwanis Lt. Governor, Joe Collie will be present to install the officers and directors and make special presentations. All members, family and friends are invited to attend this annual celebration. The Shang Hai restaurant, located at 331 Main Street in Laconia, is the place to be for Installation Night on TUESDAY, October 9th. Shang Hai restaurant owner, Hong Yan Hong (she prefers to be called "Yan") looks forward to our visit on October 9th. President Bill advised the Club that the Key Club has an additional advisor who will be assisting Karen Abraham. 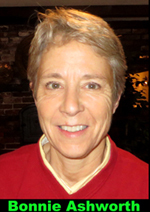 The additional advisor is Bonnie Ashworth, a Science teacher at Laconia High School. Many members may remember that Bonnie had been the Key Club Co-Advisor for many years but temporarily left her extra curricular activities to take care of her mother who has since passed away. 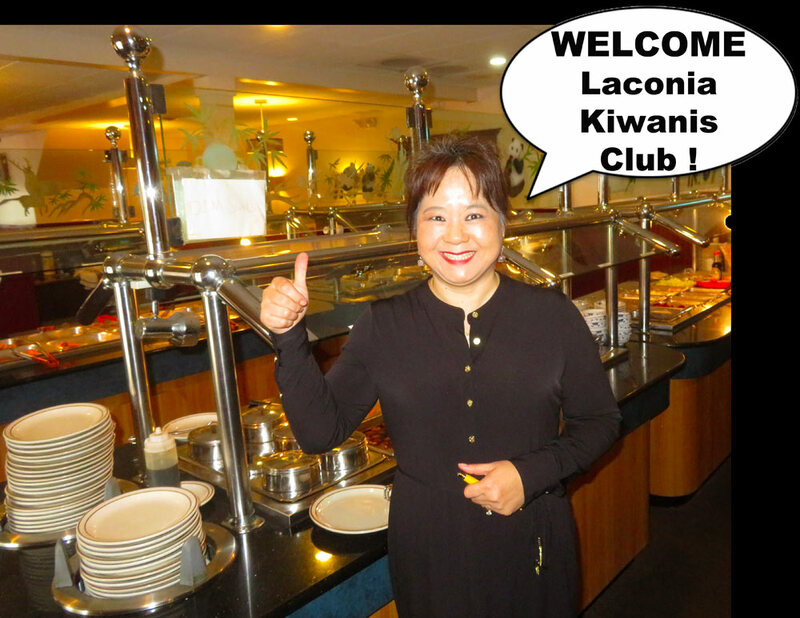 Bonnie is now back with her service activities and will, once again, be a Co-Advisor of the Laconia Key Club. Welcome back, Bonnie! Bill also noted that the Club has signed up to assist Bonnie Ashworth and the Key Club at the Belknap Mill with Duck Derby during Pumpkin Fest which will be held October 13th. Volunteers will be needed from noon until 4:30 pm. Betty Ballantyne made a report on the 2018 Roger’s Ride noting the projected net will approximate $8,000. To view pictures and video of the ride as well as a thank you message from Betty Ballantyne, click here. Congratualtions to Don Nelson with the successful surgery he recently had on his eyes. 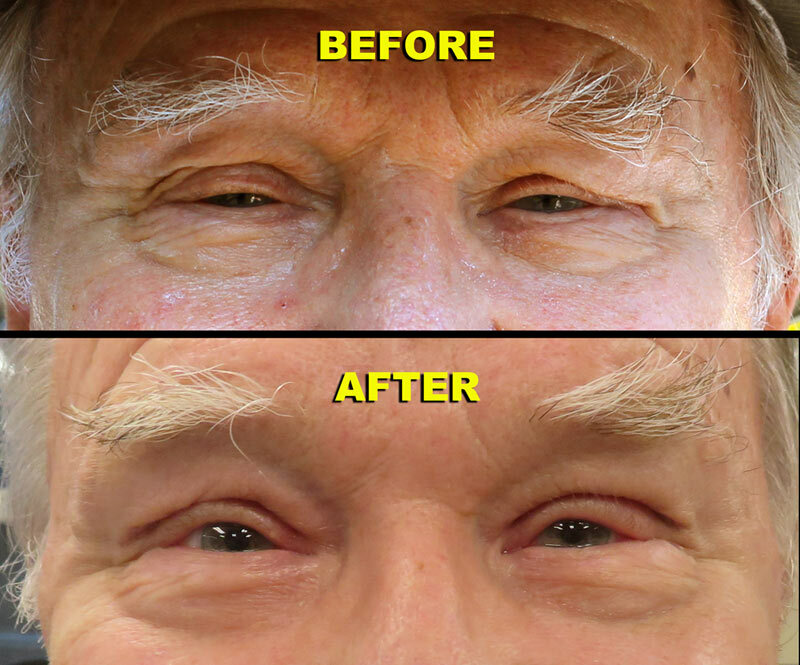 This non-cosmetic surgery will enable Don to see much better! The BEFORE picture was taken on August 26th at Roger's Ride. The AFTER picture was taken at tonight's meeting. To view a larger picture, of Don's eyes,"click" on the above photo. Congratulations to Phil Bonafide on the recent purchase of his “new” old car - a 1966 four-speed GTO convertible. This "muscle car" may be entered in next year's Laconia Rotary Car Show. To view a larger picture of Phil's car, "click" on the above photo. For details on the amenities of this car and pictures of related ones, “click” below. Be sure to push to SKIP AD. "Click" here. 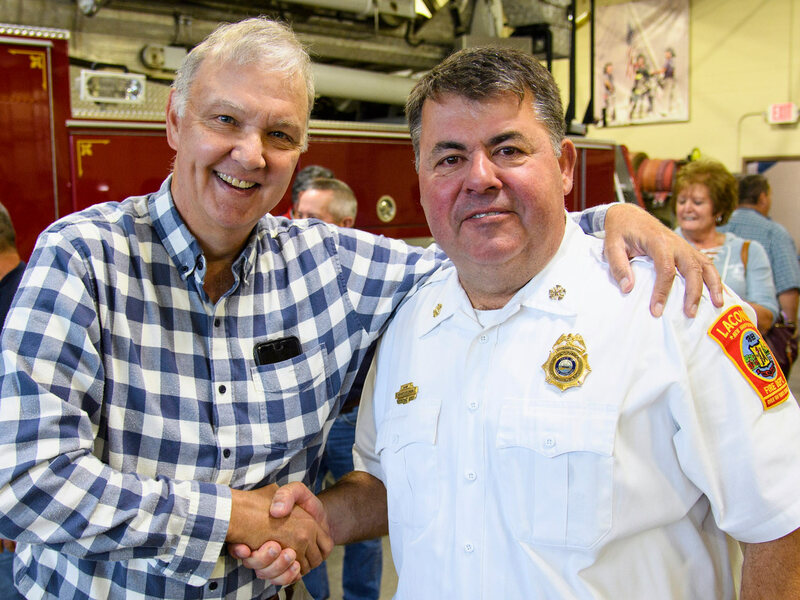 Steve Loughlin was present at the celebration honoring retiring Laconia Fire Chief Ken Erickson, which was held at the Laconia Fire Department on September 28th. 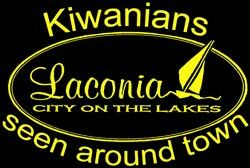 If you subscribe to Facebook, you can "click" here to see the Laconia Kiwanis Club Facebook page to view pictures from Ken's retirement. Steve Loughlin congratulates Chief Erickson on his retirement. To view a larger picture, "click" on the above photo. 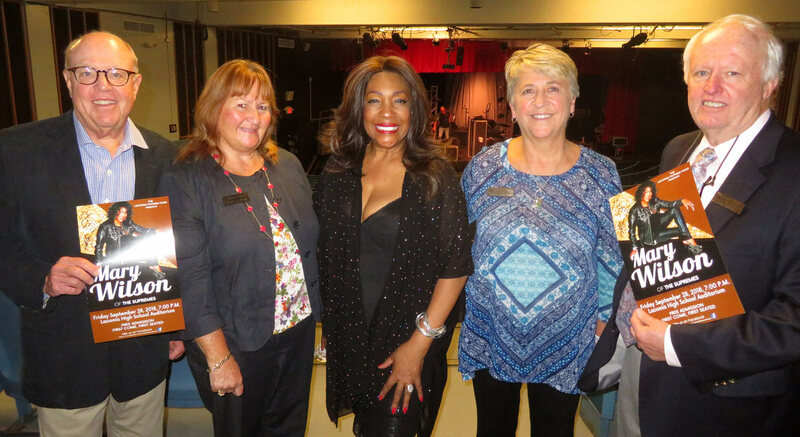 Mary Wilson (of The Supremes) sang to a packed house at the Laconia Putnam Fund sponsored concert held at Laconia High School on September 28th. Following the concert, Kiwanian Betty Ballantyne was all smiles as she and Laconia Putnam Fund Board members posed for a picture with Mary. Monday - October 22nd - NO MEETING!